The study is an attempt of a contemporary edition of the second volume of “Spitamegeranomachia” by Jan Achacy Kmita. The edition of the first volume, also published in the Journal, was comprised of a source description (original printing of 1595), critical apparatus and rules of transcription for the whole work. Both papers are related to the article Zaplecze inwencyjne „Spitamegeranomachii” Jana Achacego Kmity (The base for the ingeniousness of Jan Achacy Kmita’s “Spitamegeranomachia”) which may be regarded as an introduction into the entire edition. 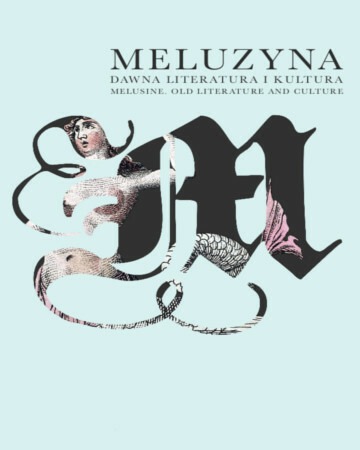 The sixteenth-century “Spitamegeranomachia” is the first Polish heroicomical poem which has been so far republished only once in 1897 ( in the collection of J. Stoka, M. Pudłowskiego i J.A.Kmity powieści wierszowane 1564–1610 (The verse-written stories by J. Stok, M. Pudłowski and J.A. Kmita 1564-1610). This Edition duplicated certain errors from the original publishing and apart from a glossary it offered no other explanations necessary in the case of a work having such a great number of allusions (paradoxographic, literature-historical and political references). The study aims at preparation of a modern transcription and, first of all, generation of a wider editing comment which would take into account numerous sources of the author’s invention.